For today Sunday night June 14th. Outside my window...we heard some fireworks, but can't see any. 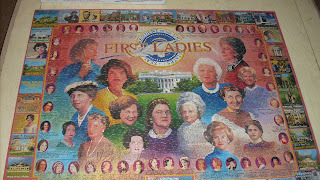 I am thinking...about starting a new puzzle, I just finished a 1000 piece First Ladies one, I loved it! I am also thinking about how I graduated from 8th grade 25 years ago today...it was a very big deal because it was a very small school, we had all been friends for years, and I was moving away 4 days later. 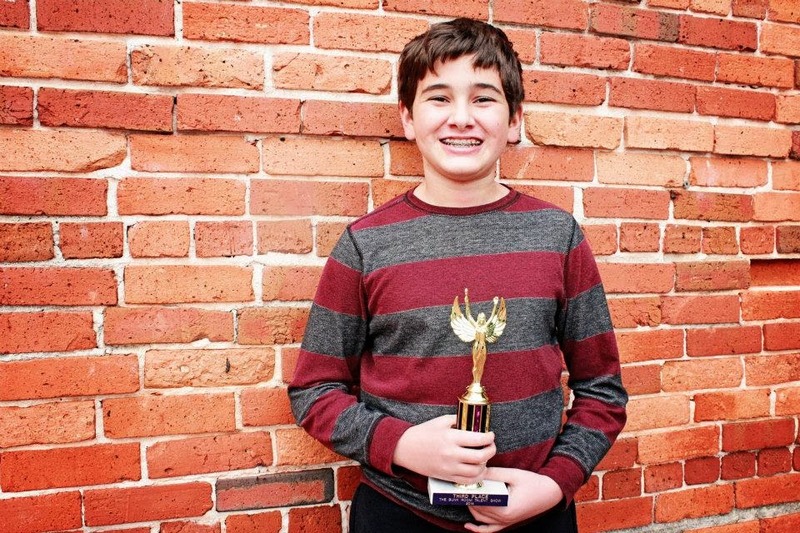 I am thankful...for the many opportunites my kids have. From the kitchen...we just had steak on the grill with blue cheese crumbles and green beans, we are now cleaning out the bottom of the barrel (AKA chest freezer) so we can defrost it while we're away. I think we're only buying milk this week. We have lots of breakfast options--muffins, scones, cereal, eggs; some deli meat, cheese, and leftovers for lunches; and frozen potluck for dinners. From the learning rooms...lots of reading. Jake will be doing two FIAR books while we are on our trip Night of the Moonjellies (set in CT) and The Little Red Lighthouse and the Great Grey Bridge (NY...we plan to spend a day in NY on this trip). Jonathan and Madi are making a dent in their reading charts. Madi is reading Betsy & Tacy and Jonathan is still reading The Cricket in Times Square and also listening to The Hobbit. I am wearing...a tan skirt and blue shirt. I am reading...Search and Rescue by Patrick Madrid, a book of short stories called Home Schooling (which has nothing to do with homeschooling) by Carol Windley, and I am listening to a Debbie Macomber book (6 Rainer Drive) on a playway from the library. I am hoping...to get inspired to do a lot of cleaning and organizing while the kids are all at activities (VBS and Theatre camp) each morning this week. I am hearing...Jake coming upstairs to get in bed. Around the house...again...I'm hoping to get inspired...in the meantime, it has that lived in look. One of my favorite things...the smell of bread baking. I am going...to go to bed as soon as the bread is done and cooled. A few plans for the rest of the week...Jonathan starts Bye Bye Birdie Theatre camp tomorrow. Jake and Madi will be doing 4 days of a VBS. We head to CT on Thursday. I'm so jealous--I'm dying to start a puzzle but I have so much going on that I'm hesitant to start. When are you headed this way?